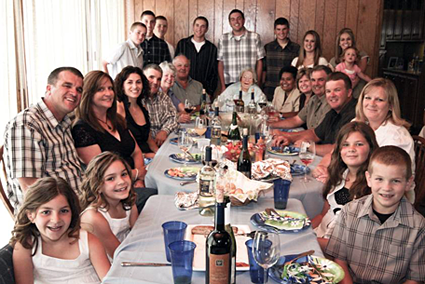 M&M Wine Grape Co. & Lanza Vineyards have a long-standing history of providing quality products and customer service to the home winemaker and winery industry. Therefore, it is only natural for them to strengthen their relationship by embarking on a business venture together. Frank Musto and Ron Lanza met several years back, at the Wineries Unlimited Convention in March of 2007. There was plenty of interest around the Suisun Valley booth. Frank spoke to Ron at the convention about the possibility of shipping their product back East. During the conversation Ron had mentioned that he had never packed in 36lb boxes to ship back to the East Coast. Frank visited Ron on his annual trip to California in June to discuss this further. 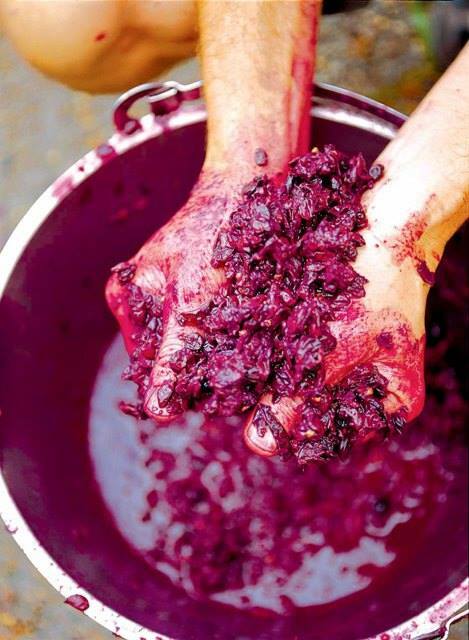 Once arriving in Suisun, Ron introduced Frank to the gorgeous vineyards and they started drafting ways to ship the fruit back East. Frank realized the potential Suisun Valley had to offer with its high quality fruit, growing conditions, proximity to Napa and the Lanza’s dedication to quality farming practices. The two worked for the next several months on the logistics of how to get the grapes picked, packed, cooled, gassed, and shipped back to the East Coast. The rest is history. Frank and Ron have grown to become not only great business associates but also great friends. They decided to venture into a new vineyard project together to offer varieties that weren’t planted in the valley and to extend the two brands. 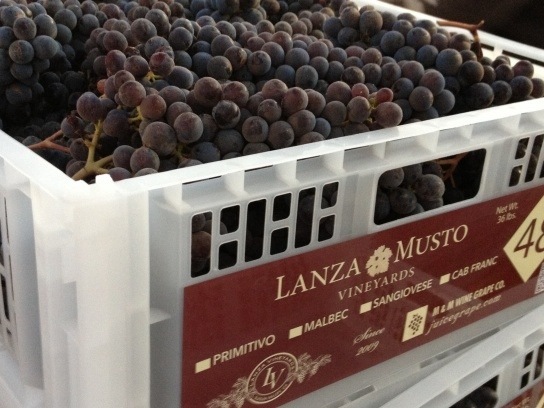 This year you will be receiving fruit from their new vineyard project, Lanza Musto Vineyards. This vineyard was planted in 2009. 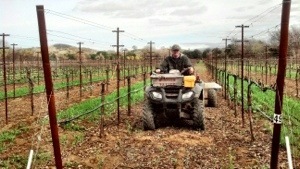 Now you can experience the planting of the second installment of the vineyard project. Here we will be posting photos of the second vineyard’s progress. You will be able to follow the evolution of the vineyard from the minute it is planted, through all of its growth stages, and finally, harvest. We are very excited to share the experience of this venture with you! Ron and I would like to say thank you to all of our loyal and enthusiastic customers. It’s through your support and encouragement that we have been able to embark on these new ventures. Thank you.